An important discrepancy in measurements of the universe’s acceleration has theorists wondering whether we’ve gotten something fundamentally wrong in our understanding of the history of the universe. One currently unexplained cosmological mystery is the “Hubble tension,” where various measurements of the universe’s expansion seem to disagree. As the story surrounding this tension gets murkier, others have begun to come up with new ideas that could explain it. The universe is expanding; the space between galaxies is growing. A constant named after astronomer Edwin Hubble describes how quickly this expansion occurs. Scientists now have several methods for determining the value of Hubble’s constant, but these methods have produced two values that don’t agree. For some methods, which rely on using the light from supernova and pulsing stars called Cepheid variables to determine their changing distance, it appears that objects move away from the Earth 73 kilometers per second faster for every 3.26 million additional light-years, also called a megaparsec. For other measuring methods, which rely on the electromagnetic radiation that reaches us from the early universe called the cosmic microwave background, the value is around 67 kilometers per second per megaparsec. Experimental errors alone don’t seem to explain the discrepant values. Attempts to explain away the difference without new physics don’t seem to hold up to scrutiny. Even so, the difference between the values isn’t at the “five-sigma” level of experimental precision required to say that the values are truly discrepant. But the story has gotten murkier. 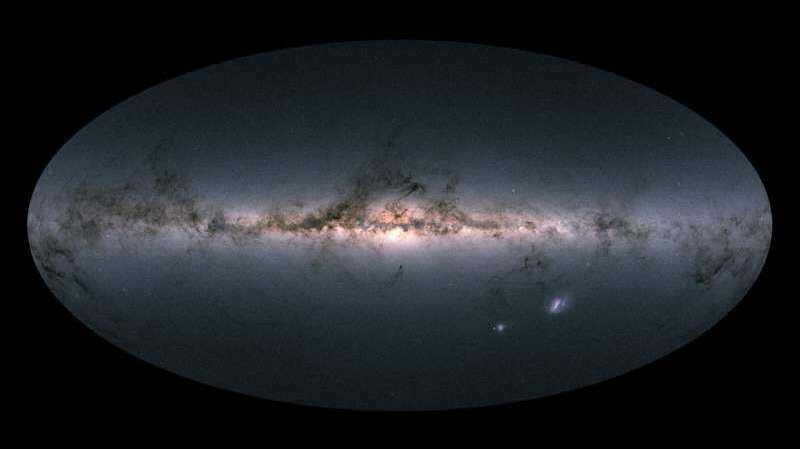 Most recently, a new result from scientists running the Dark Energy Survey has muddied the waters. Using measurements from supernovae, they in fact measured a Hubble constant of 67.7 kilometers per second per megaparsec, closer to the early universe measurement. Though you’d think this new measurement closing the gap between the two previous measurements would reduce interest in the problem, two independent teams of theoretical physicists happened to release papers addressing this tension just after the DES result came out. Both propose tweaks to our understanding of the universe’s early history. One paper reduces the tension between the two values by modifying when the period of recombination—the era a few hundred thousand years after the Big Bang when the first neutral hydrogen atoms began to form—began and ended. Another introduces “early dark energy,” some force in charge of driving the universe apart during an earlier time that has since shut off. Physicists already believe there are two phases of the universe expanding—one right after the Big Bang when it expanded quickly, called inflation, and the current era. “What we are saying is something similar might have happened at another time in the history of the universe,” Vivian Poulin from Johns Hopkins University told Gizmodo. Both of the ideas are in their infancy—they’ve only been posted in the arXiv physics preprint server, meaning that they haven’t been vetted by peer review. Additionally, both came out too soon after the DES result to cite it—and if that work holds, the theorizing might be for naught. Matt Buckley, a Rutgers physicist not involved in either new paper, didn’t think that the DES result should cause a reduced interest in the tension, and thought that groups like Poulin’s and Slosar’s were certainly asking the right questions. But he mentioned that any new theory must fit all of the existing data. New physics might certainly be the most interesting way to resolve the tension, but there will soon be other new ways to measure the Hubble constant, independent from both the “distance ladder” that measures closer objects as well as measurements from the most distant radiation. Perhaps gravitational waves, tiny ripples in spacetime that travel at the speed of light and result from chaotic events like colliding black holes, can offer a solution. Scientists would compare the light emanating from colliding neutron stars with their gravitational waves, and have already determined an estimate of the Hubble constant using this method. Reliable measurements of the Hubble constant using colliding neutron stars are probably a decade or so away. The Hubble tension will continue to be the subject of observation, and will continue to tantalize theoretical physicists.